This is a general explanation of the steps your case will take through the criminal justice system, and how the Office of the Public Defender will assist you at each stage. Each case is unique and every client will be handled individually. Please listen to the advice of your attorney when it differs from the information found here. The Public Defender’s Office cannot represent you until appointed to do so. Once appointed, you will be interviewed and informed of the charges against you. This will take place quickly. If you are in jail, someone from our staff will come see you. If you are not in custody, you will receive a phone call from our office. If you have not heard from us within 3 working days, please call the office and ask to speak with our intake division. Full investigation of your case takes time and is a team effort involving you and our office. Without your cooperation we cannot be as effective and there will be delays. Each case is different. Complicated cases naturally take longer than other cases. Your attorney must be thoroughly prepared before he or she can go into court for you. If you do not understand why your case is taking so long to prepare, talk to your attorney. Your attorney will explain the reasons to you. During the preparation of your case, your attorney will update you on all of the facts, and explain available defenses as well as legal options. Your attorney will also explain possible sentences if you plead guilty or are found guilty at trial. Anything you tell any representative of the Public Defender’s Office is confidential. Without your permission, confidential information cannot be revealed to the prosecutor or anyone else. No one can force a representative of the Public Defender’s Office to disclose confidential information. Conversations with other people are not confidential. These people include your spouse, family, friends, CELL MATES, news reporters, probation officers, or police officers. You should not talk to these people about your case. ALL PHONES CALLS from the Polk County Jail are recorded and reviewed by law enforcement and prosecutors. This includes phone calls to your attorney. Anything you say during a phone call can be used against you in court. It is important that you cooperate with your attorney and your entire defense team. You must be completely honest with your attorney and the team investigating your case. You must keep them advised of all information and developments related to your case. If you are not completely honest with your attorney, he or she will be caught off guard and will not be able to effectively represent you. You can help the investigation of your case by providing the names and address of witnesses. If you are out of jail, you can help your case by finding witnesses and notifying your attorney by sending a letter, calling in, or scheduling an office appointment. If you are in jail, try to have your family and friends find witnesses. A witness may be anyone who can testify to any circumstances which may show you are not guilty or which may tend to show that the crime was not as serious as the prosecutor claims. Our investigators may interview the witnesses against you and try to locate defense witnesses. Accurate names and addresses are helpful. You should not, however, contact witnesses for the prosecution, the victim, or send other people to talk to the witnesses or the victim for you. If you do, you may be charged with a new crime of tampering with witnesses. Your attorney may file discovery motions to get witness lists, police reports, witnesses’ statements, reports of experts and other important facts in your case in the possession of the prosecutor. Discovery depositions and other statements given under oath may be taken from witnesses. Your attorney also may talk with the prosecutor to get some idea of the prosecutors’ intentions in your case. The prosecutor may decide to “plea bargain” either by agreeing to reduce the charges against you or agreeing to a lower sentence in exchange for a plea of guilty or nolo contendere (no contest). If the prosecutor offers a plea bargain to you, your attorney is required to tell you about it even if you are innocent or want a trial. Your attorney telling you what the prosecutor has offered does not mean your attorney agrees with the prosecutor or believes that you should enter a plea of guilty or nolo contendere. If you are in jail, you should appear before a judge within 24 hours of your arrest. The judge will first advise you of the charge(s) for which you have been arrested. The judge then will decide if the police had sufficient legal reasons- called probable cause – to arrest you. You should not talk about the facts of your case at this hearing. The law requires the judge to make this decision based solely on the paperwork before him. Absolutely nothing you say about the facts of your case will assist you at this hearing. After the judge has decided if there was probable cause to arrest you, he or she will ask you if you wish to be represented by an attorney and, if so, whether you intend to hire private counsel. If you are financially unable to hire your own lawyer, you will need to complete an application form which includes a financial affidavit. The court will also charge you a $50 application fee. The judge will then decide if you qualify for the services of the Public Defender’s Office. Only the clerk of court or a judge can appoint the Public Defender’s Office to represent you. Unless you are acquitted or your charge is dismissed, the services of the Public Defender are not free. When you apply for the appointment of the Public Defender, a $50.00 fee will automatically be assessed. You will not be denied appointment of an attorney simply because you cannot immediately pay this fee. However, the fee must be paid as soon as possible and can either be paid to the clerk of court or at the Bartow office of the Public Defender. Credit or debit cards can be used to pay the application fee. If you are convicted and a sentence is imposed, the court will make payment of an attorney’s fee a condition of your sentence. Bail is intended to guarantee that you will appear for your scheduled court appearance. You have a very limited right to bail in capital cases and cases carrying a life sentence. Cases with limited right to bond may include murder, sexual battery, kidnaping, burglary or robbery. To set your bail, or to lower the amount of your bail, the judge must be convinced you will appear in court when notified to be there. The court may ask you several questions, such as how long you have lived in the area, whether you have family in the area, whether you are working, whether you have been released on bail before and appeared in court when required, and whether or not you have a criminal record. If the court finds your charge is not a serious crime, and you will appear when required in court, or that you have a responsible person in the community who will guarantee your appearance in court, the judge has the option of releasing you without bail. This is called release on your own recognizance (ROR). If you cannot make the original bail, your Assistant Public Defender may subsequently file a motion for reduction of bail if your bail seems too high in view of the charge or if the evidence against you is weak. Remember, you do not have a right to multiple bond hearings unless there are significant changes in circumstances. Not being able to make the previously set bond is not a significant change in circumstances. The first person from the Public Defender’s Office you will see may be an Assistant Public Defender, a witness interviewer, or an investigator. Even though the interviewer may not be an attorney, the information you give is CONFIDENTIAL and will be given to your attorney. You will be asked a number of questions. It is important to cooperate fully and answer all questions truthfully. If you are released from jail before you have been interviewed, you need to call and schedule an appointment at the Public Defender’s office as soon as possible. Remember, it is your duty to call and schedule an appointment so your attorney can begin working on your case. The Assistant Public Defenders make regular visits to the jail. Your attorney will meet with you when necessary, but cannot meet with you every time he or she is there. You should request a jail visit only when it is important that you and your attorney meet in person. This office may also use video conferencing to make contact with you at the jail. Video conferencing consists of talking with your attorney through a video and phone line. These communications are also confidential but you must be careful not to discuss the facts of your case within the hearing of other people. Only the people in charge of the jail can decide if your friends and relatives can visit you. Questions about food, clothing, medical treatment and medicine should also be directed to the people in charge of the jail. The State Attorney’s office has the sole discretion whether to file formal charges against you. Even if witnesses don’t want to testify against you or want to “drop the charges,” the State Attorney may still charge you. The law of the State of Florida gives the State Attorney this type of discretion. The State Attorney also has subpoena power to make witnesses come to court. If a witness who has been served a subpoena fails to appear, they can be held in contempt of court and fined or sentenced to jail. If you are in jail, the prosecutor has 33 days from the date you are arrested to file formal charges against you. If formal charges are not filed within 33 days, the court, on the 33rd day and with notice to the State Attorney, may order you released on your own recognizance. The State may petition the court for an extension of time to file formal charges if they can show good cause for doing so. The extension can be for no more than 40 days from the date of your arrest. After your first appearance, if formal charges are filed, an arraignment will be scheduled. The arraignment is not a trial and not a time when evidence or witnesses can be presented. At most arraignments you are informed of the charges against you, and if you do not have a lawyer the Public Defender’s Office may be appointed to represent you, if you qualify. You may either appear in person for arraignment, or, in appropriate cases, you attorney may file a written plea of not guilty on your behalf. You must attend your arraignment in person unless your attorney has specifically told you otherwise. If a plea of not guilty is entered at your arraignment, your case will normally be scheduled for a pretrial conference. After investigating your case, your attorney may file motions and ask for a court hearing. YOU SHOULD NOT FILE YOUR OWN MOTIONS. If you are represented by a Public Defender the law does not allow you to also file your own motions. Because you are not an attorney, you may put something in a motion that could hurt your case. If you have a matter that you want the court to know about, ask your attorney about it. 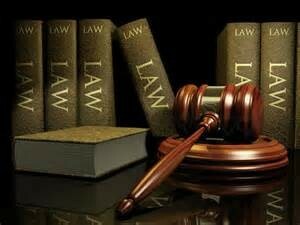 You must appear in court for all your court hearings unless your attorney advises you otherwise. If you change your address while waiting to come to trial, notify your attorney immediately so that you can be notified when you must be in court. It is best to arrive before the time scheduled in order to discuss the case with your attorney. If you cannot appear in court on time, notify your attorney immediately. If you do not and are late, the judge may issue a warrant for your arrest and your right to a speedy trial may be lost. Your bond may also be revoked. The law presumes you are innocent until proven guilty. You can only plead one of three ways: 1) Not Guilty; 2) Guilty; 3) Nolo Contendere, which is Latin for no contest. A not guilty plea is entered when you are innocent of the charges filed against you. It is also entered when more time is needed to investigate your case and decide whether or not you want to proceed to trial. If you plead guilty or nolo contendere, either to the charges against you or to some lesser charge, the judge will ask you questions in order to confirm that you know what you are doing and that no one is forcing you to enter the plea. Only the judge will decide if your plea will be accepted. This is true even if you, your attorney, and the State Attorney have negotiated a plea agreement. If you plead guilty or no contest, there will not be a trial and the judge will proceed with sentencing. If, after talking with your attorney, you decide to change your plea of not guilty to either guilty or nolo contendere, your attorney will explain to the court that you want to change your plea. Before accepting your plea, the judge will ask you certain questions to make sure you understand all of your rights, and that no one has pressured you into changing your plea. You alone must decide whether to change your plea, and the court wants to make sure it is solely your decision. Unless the charges against you are dismissed or you enter a plea of guilty or nolo contendere, your case will go to trial. A case can be tried either with a jury or without one. In a jury trial, the judge presides over the courtroom proceedings, and six or more citizens from the community are chosen to hear the evidence presented against you. These citizens determine whether a crime has been committed and whether you are criminally responsible for that crime. In a non-jury trial, the judge alone decides whether a crime has been committed, and whether you are criminally responsible for that crime. You and your attorney must decide whether you want a jury trial or a non-jury trial. The State Attorney must also agree to a non-jury trial. Most trials involve using a jury to decide the facts of the case. Your attorney will question prospective jurors, and with your assistance try to select the best ones to hear your case. After both sides question the jury and jurors are agreed upon, the actual trial begins. Each side can make an opening statement telling the jury what the case is about. The prosecutor then presents his or her witnesses and evidence. Your attorney can cross-examine witnesses and challenge any evidence. If the State’s witnesses do not appear in court for your trial, the judge may dismiss your case, or he can postpone it at the request of the State Attorney. This decision is up to the judge. After the prosecution witnesses testify, your attorney makes a motion for judgment of acquittal. This motion is usually made in all cases to see if the prosecutor presented enough evidence to show you committed the crime for which you are charged. If this motion is denied, then your attorney may present defense witnesses and evidence after which the prosecutor may offer rebuttal evidence. You have the right to testify in your trial, but you do not have to testify. The decision as to how to best defend your case is complex and should be discussed in detail with your attorney. After all the evidence is presented, each side makes its closing arguments to the jury. The judge then tells the jury the laws and rules applicable to your case which govern the juries’ deliberation. The jury then goes into a room to talk about the case until they reach a unanimous verdict. If the jury is unable to reach a unanimous verdict, meaning every juror does not agree to the same verdict, a mistrial is announced and the case will be reset for trial at a later date. If you are convicted you will have an opportunity to speak with the judge before any sentence is imposed. You should discuss with your attorney whether to speak with the judge and, if so, what to say. The judge will also give the state, your attorney, and any other interested party or witness a chance to speak. Let your attorney know in advance the names and addresses of people you want to speak at your sentencing. Do not compare the sentence in your case with those in other cases you have heard about because each case is different. If you feel you have a mental health issue or a drug or alcohol problem that may have contributed to your committing a criminal offense, you should tell a representative of the Public Defender’s Office at the first opportunity. You should also immediately tell them if you have ever received treatment for a mental condition or drug/alcohol abuse. You may be eligible to enter a special treatment program which may help in getting leniency from the prosecutor and/or the judge. Additionally, you may qualify for Drug Court or Behavioral Health Court. Probation is a privilege– not a right. If you are a first­ time offender, this does not mean you will automatically receive probation. If you are placed on probation, the usual conditions include: 1) reporting regularly to your probation officer; 2) notifying and receiving permission from your probation officer before changing your address, changing your job, or leaving the county; and 3) leading a law-abiding life and not committing any other crimes. If you violate any of these probation conditions, or any special conditions required by the judge, the judge may sentence you to prison. If the violation of probation is a crime committed by you while on probation, the judge can revoke your probation without waiting until you are convicted of the new charge. A probation violation hearing will be held by the judge without a jury and the degree of proof necessary to find a violation of probation is lower. If you are convicted and want to appeal your case, you must do so within 30 days after sentencing. You have only a very limited ability to appeal if you entered a plea freely and voluntarily, whether with or without a plea agreement, and the sentence imposed is within the legal limits and complies with the plea agreement. An appeal is NOT an opportunity for a higher court to reconsider the facts of your case. An appeal will only help you if the judge did not follow the law, or if you were prevented from properly exercising all your rights. You have the burden of proving that the law was not followed or that your rights were violated before a conviction can be reversed on appeal. more than 30 days before contacting your attorney.